Daniel McKay and Benjamin Lessennes claimed their second win of the GT4 European Series weekend on Sunday afternoon, completing a perfect weekend for Equipe Verschuur. 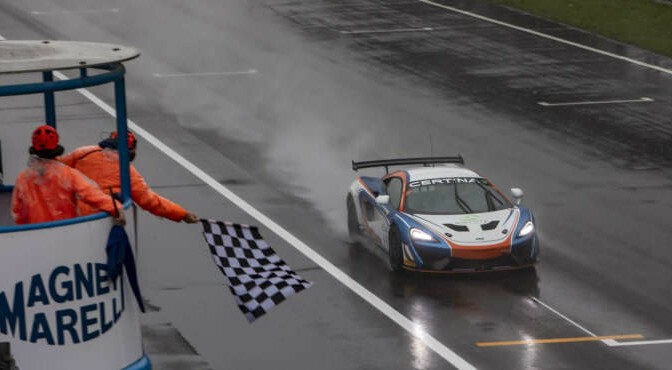 McKay and Lessennes secured the McLaren 570S GT4′s second win of the weekend in a rain-hit second race on the Autodromo Nazionale di Monza. Leipert Motorsport and Selleslagh Racing Team claimed class victories in Pro-Am and Am.